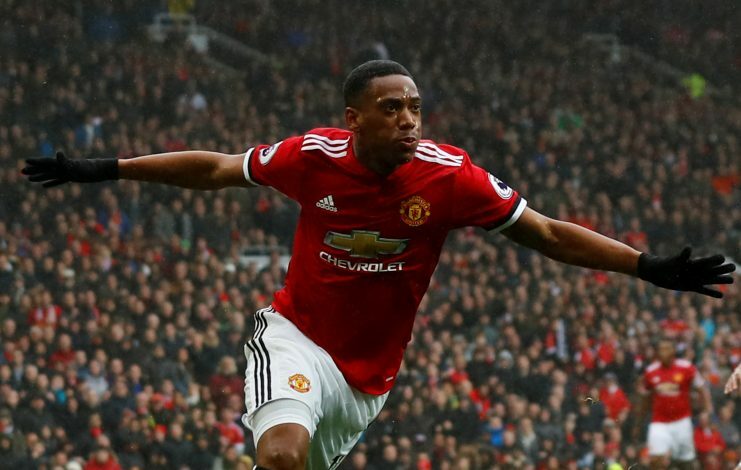 Having displayed rather conviction deficient performance so far this season, Real Madrid are now busy preparing a stunning move for Anthony Martial in the upcoming summer, involving an £80 million deal, reports Mirror. Los Blancos have been looking for a suitable forward for a while now, with a few endeavours ending up being a flop. Among those failed pursuits is Kylian Mbappe, who moved to the French capital, further disappointing the Madrid supporters. However, the Spanish giants are planning to shift their focus on to Martial, who could be the appropriate attacker the club is craving for. Zinedine Zidane is purportedly thinking out to revamp the team, attempting to implement more pace in their football by introducing a few youth products into the squad, owing to the fact that most of the offensive players currently available are getting too aged for keeping up with the conventional quick counter-attacking fashion. Cristiano Ronaldo is set to turn 33 in February, Karim Benzema 30 next month, Luka Modric 32, and ultimately, the agile attacker Gareth Bale being involved in grappling with calf injuries ever so often, the squad really looks like it’s roughly the time for some required upgrade. The influential gaffer believes landing the United forward would be the first step in realizing his goal in the future. Despite a challenging campaign last year, the 21-year-old has retrieved his confidence, and is showcasing sensational form for the Red giants this season. Although he’s not yet a guaranteed starter in the squad, Mourinho takes satisfaction in the contributions the decorated forward offers. Martial had approved a four-year deal with the option of an extra year when he joined from Monaco in the summer of 2015 in a £58 million deal. Ergo, a move out of Old Trafford any time soon could be ruled out effectively. But considering the fact that Florentino Perez is on the other end of the phone, none could cut the mustard of what could follow when the summer window reopens.